When we use God’s ordinary means, we get God’s power with them. Cal Ripken Junior became an extraordinary baseball player by doing an ordinary thing: he showed up for work. He did it again and again and again—a record 2,632 consecutive times. The hall-of-fame shortstop first appeared in the Baltimore Orioles starting lineup on May 30, 1982 in a game against the Seattle Mariners and his name was next absent from it on September 20, 1998. Barry Bonds became an infamous footnote to baseball history by attempting to do something extraordinary in an extraordinary way: he bent the rules. One of the most feared sluggers of the 1990s and 2000s, Bonds broke one of the game’s most hallowed records—Hank Aaron’s all-time home run mark of 755 homers. Bonds did it by cheating. For the last several years of his career, he took drugs that artificially enhanced his performance—and inflated his home run totals—enabling him to pass Aaron. To many fans, Bonds is baseball’s Benedict Arnold. These two players illustrate well two different approaches to ministry—God’s way and our way. In the historic evangelical tradition, preaching, prayer, and the ordinances—baptism and the Lord’s Supper—have often been referred to as “the ordinary means of grace” because they form the heart of corporate worship and the main methods of ministry in a faithful, biblical church. They’re God’s means of transforming sinners. The outward and ordinary means whereby Christ communicates to us the benefits of redemption are His ordinances, especially the Word, Baptism, the Lord’s Supper and Prayer; all which are made effectual to the elect for salvation. (Rom. 10:17; James 1:18; 1 Cor. 3:5; Acts 14:1; 2:41,42). It’s plenty because tragic things happen when we exchange God’s means of grace for our own—or when we misuse his means. Just ask Aaron’s sons, Nadab and Abihu. While handling the sacred things in the worship of God, they rebelliously offered “strange fire” on the altar of God—a means of worship the Lord did not command. The result? God vaporized them in his wrath. Ask Old Testament Israel who embraced the pantheon of deities worshiped by the nations around them and God used Assyria and Babylon—wicked nations—as instruments of judgment. Of course, God in his holiness, turned around and poured out his judgment on those nations for their sin as well. Obeying God is always best. One of the often under-discussed principles of the Reformation was that of simplicity. That is, worship, ministry, and all the things that go with it (including the architecture of a church) should be simple—lashed to Scripture. My north Georgia friend was on to something that we—even in our correct motives of seeing God’s people edified and sinners come to Christ—often forget: God performs his extraordinary work of spiritual awakening through ordinary people and ordinary things. The conversion of Charles Spurgeon is a remarkable illustration of the power of God’s Word. The 15-year-old Spurgeon ducked into a Primitive Methodist Church on a Sunday to escape a snowstorm. The regular preacher was away and a substitute stepped into the pulpit and merely read Isaiah 45:22—“Look unto me, and be ye saved, all the ends of the earth; for I am God, and there is none else.” God cut Spurgeon to the heart and drew him savingly to himself. Spurgeon’s impact for Christ’s kingdom defies imagination. But it began with the bare reading of Scripture. God’s ordinary means of transformation are timeless. God’s Word is eternal truth. God does not change, nor does his Word. Protestant Liberalism argues that Christianity must change or die. Today, churches that bought into that message are dying. By God’s unfathomable grace, churches that preach the gospel of Jesus Christ are growing. 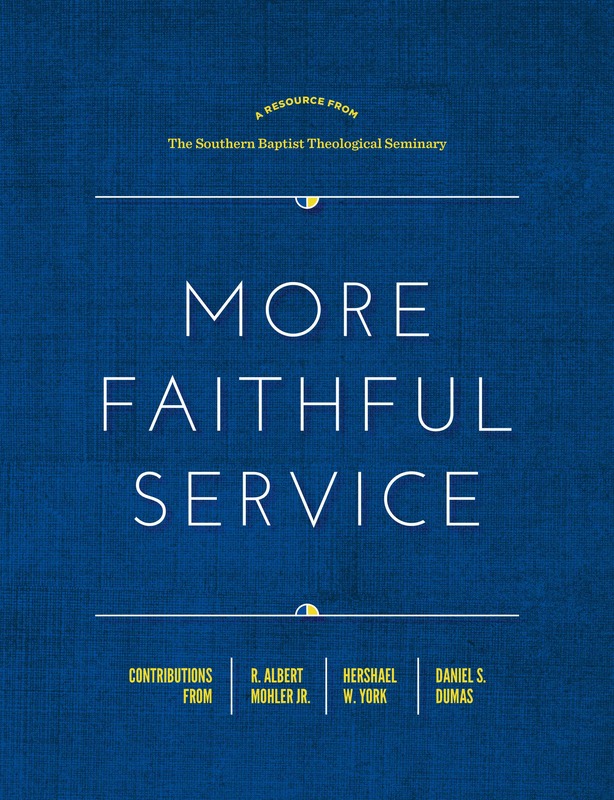 God’s ordinary means of grace may be deployed by any faithful church. I pastor a church of approximately 60 people. We certainly desire to grow in both grace and number, but we don’t have to wait until we have bricks and mortar or a top-notch sound system to be a valid church doing valid, Word-centered ministry. I pray we are faithful in doing it now in every area of our ministry. We take no pride in being small—that’s a different heart issue—but our elders and members simply trust God to honor his Word. God’s ordinary means of grace do not require extraordinary innovation. In God’s economy the weak is strong and the strong is weak (2 Cor. 12:1-10). Thus, the bar for success in ministry is persevering faithfulness. The ordinary means of grace appear in the eyes of most as pathetic and insignificant, with very little potential to accomplish anything of broad impact. But God works this way. He uses a rebellious prophet to reach Ninevah with the good news. He turns a weak, halting, thrice-denying disciple into one of the most courageous preachers the world has seen. And though we are deeply flawed and desperately weak, he uses us. God’s ordinary means of grace promote humility and worship with reverence and awe. When God sets the agenda and we follow it, we are admitting he is sovereign, and we are not. When we deploy his means, we are saying, “You are God, and I am not, and you have revealed yourself in Scripture and I joyfully, willingly, submit to your wisdom.” That’s humility. When we humble ourselves, we are then positioned to worship God with reverence, awe, with thanksgiving, because he has done it, not us. Using God’s ordinary means of grace rightly is an act of faith. In Matthew 16, Jesus promised, “I will build my church and the gates of hades will not overcome it.” God builds his church on the foundation of the apostles and prophets, which means his Word, with Christ Jesus (the sum and substance of the Word) as the chief cornerstone (Eph. 2:20). The ordinary means of grace are the divinely-appointed, Spirit-driven carpenter of God’s church. The Word of God and the Spirit of God conspire to form the engine that pulls the cars down the tracks of salvation and sanctification. We must unleash them faithfully with all the passion and energy God gives us, trusting he will use them to perform his miraculous work of transforming sinners into saints. On a purely human level, our task as leaders of the local church is simple. Like Cal Ripken, we must show up every Lord’s Day, at every evangelism outreached, at every short-term mission jaunt, day after day, week after week, year after year, and be faithful to unleash his ordinary means of grace and then watch our great God build his church in a way the world, with all its extraordinary things, will never be able to explain.